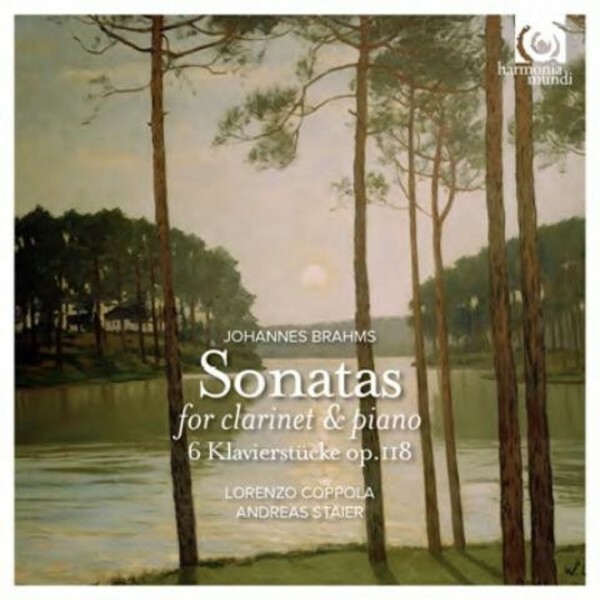 The two sonatas for clarinet and piano, composed in 1894, were Brahms’ last chamber works. Knowing that he could count on the virtuosity of their dedicatee, the prodigious clarinettist Richard Mühlfeld (1856-1907), Brahms enthusiastically exploited all the expressive possibilities of the instrument. Under the fingers of Lorenzo Coppola, the clarinet prays, sobs, dreams or laughs, bringing astonishing conviction to all these varied emotions. Both Andreas Staier and Lorenzo Coppola contribute booklet notes for this release and in particular they have this to say about the 1875 Steinway used in the recording: "The grand pianos of Steinway & Sons of New York were the most advanced of their time. They won a gold medal at the Paris International Exposition of 1867, and their technical innovations were eventually to be adopted by all European piano makers. The instruments, which were again honoured at the Centennial Exhibition in Philadelphia in 1876, may be said to mark the end of the development of piano building: with them, today’s concert grand was created, which has since been modified only in minor details. The instrument used in this recording is numbered 32500 and dates from the year 1875. We sincerely thank Chris Maene for making his original Steinway available to us for this recording and the rehearsals that preceded it. We spent a very pleasant few days in his collection of instruments in Ruiselede, where we were also enjoyed the most generous hospitality."